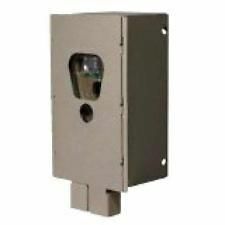 I have a F2-20 Extended Range IR Camera that I received as a gift, on Cuddeback support page I don't see this model listed, I believe my camera came from Cabelas, can someone help me with this? The F2-20 is part of our F series cameras and would classify this camera as the model F2-20. We have a new firmware available for this model camera and you can get this firmware by emailing into our support email and they can send you the firmware file. It's darn near impossible to figure out the C-D-F series and what is compatible with what. Can't there be a table of cameras old and new with their designations E, D, F and what accessory goes with what? Lots of info and tables on comparison of features but it's missing this little bit of info i.e. "series"
For example I picked up an Attack IR at a charity auction without a packing box and it's impossible anywhere on Google/Cudde.com to find out what its series is - if any. Frustration like this leads to never bothering again with Cuddeback. I bought a F security box. Nope that doesn't work... no info anywhere that that box is compatible with X,Y,Z. "C and E CuddeSafe® Protect your Cuddeback C or E with this heavy-duty, all-metal Cuddesafe enclosure"
Hopefully on the back of each new camera is the code C - D - F - none the Attack. I understand your frustration and confusion and agree that there should be a table explaining what fits what. One of the problems you're gonna be dealing with is that the Attack has been discontinued and the Cuddesafe that fits it is likewise discontinued. If you really want a Cuddesafe for your Attack you should call Cuddeback and ask if they have received any used safes from their trade-in policy or maybe you can find one on ebay. I don't think you will find one new online though. In short, currently there is a safe that fits the older Ambush and the newer F models and there is a safe that fits the C and E models... just those two safes. If you want a safe for security purposes (lockable) you can get the next best thing though. That is, a metal tilt Genius mount (the same for all models) and the locking plate that goes with it for the Attack model. At least that way you can lock it down to keep the honest people honest but of course it won't provide critter protection. If by chance the locking plate for the Attack is also discontinued now, you can PM me with your mailing address and I will send you one that I have collecting dust. We did not introduce the "series" of cameras until we introduced the C/E series. We are in the process of updating the website to show all the differences in the cameras and what mounts are compatible with what cameras. Going forward we will offer different series, we will have a White series, a Silver series and then a Blue series. You should see these changes on the website in the near future.